[El Taco de Mexico buche taco sauve. Photo: Wally Gobetz] Denver isn’t necessarily one of those cities that comes to mind immediately when you’re thinking of top-notch dining, but within the past decade, there’s been a surge of top eateries opening in Colorado’s capital city, in all varieties from Mexican to Western. Now Denver boasts some of the best restaurants around. This is especially true when it comes to Southwestern cuisine, and it’s been bolstered by the long-time presence of the Latino community with a large section of it hailing from Mexico. Most importantly, the central dish that may be among those best identified with the city of Denver? Green Chili. And you’ll be sure to find it on many menus around town, making for a great search for the best of them. Delicious green chili at La Loma. It all means good times and good eating for Denverites and those from out of town thanks to the fare that’s served up at these ten restaurants. For more travel guides, check out Trip101. In staking out Denver for a friend, we had a mission to find food most similar to ours back home in San Antonio. We found it with some regional differences! If you’re looking for a truly authentic taqueria experience in the heart of Denver, El Taco fits the bill to a T. Located on Santa Fe Drive in the Art District, this place has been a staple in the local food scene since 1985 and has attracted many through its doors including celebrity gourmand Andrew Zimmern himself. It’s all about the food here when you walk in, with the decor being highly simple. But it allows you to truly focus on the source of the ardor which happens to be their famed green chili. It’s doled out profusely and packing enough of a kick that you’ll remember it for a while after. Another great menu item is their Menudo, rich and flavorful enough to make you feel as if you’re in someone’s kitchen rather than a restaurant. Quality and tradition go hand in hand with this next entry on the list, La Loma. This historic establishment had humble beginnings within a small house near 26th Avenue and grew to be so popular that they moved to a larger space nearby on a hilltop. This would be their home for three decades before they moved to their present location across from the famed Brown Palace. What makes La Loma a fixture on this list is a combination of an atmosphere that has a nice rustic feel and a few upscale touches. Another reason is the food, put together with familiar dishes from Tex-Mex cuisine which include the house specialty of a green chili plate made from a recipe passed down by Savina Mendoza and perfect over three decades. You can even get their green chili by the bowl or if you happen to be there for brunch you can get the chicken fried chicken. That dish is a bountiful serving of fried chicken breast smothered in their green chili. And stop by weekdays for their excellent happy hour. This bistro’s name is inspired by the women of the Mexican Revolution and their boldness and courage. Boldness is definitely the air here in this restaurant which is near the Glendale area, exemplified by their hearty menu which takes its culinary influence from the Michoacán Region in southwest Mexico. That means that you’ll get robust fare such as their Pozole and a roasted chicken dish that’s doused in homemade mole sauce to go with dishes featuring beef Lengua. Another standout point about Adelitas? Not one but two happy hours, which makes this spot on South Broadway one to keep track of if you’re out and about and looking for a good place to hang in the area. Patzcuaro’s has been around since 1978, calling the Highland neighborhood home. It takes its name from the lake found in Michoacán, Mexico. It’s gotten to be a crowd-pleaser through the years, enough to open outposts all over Colorado but still retains a homestyle feel reflected in the cozy atmosphere once you walk through the doors. 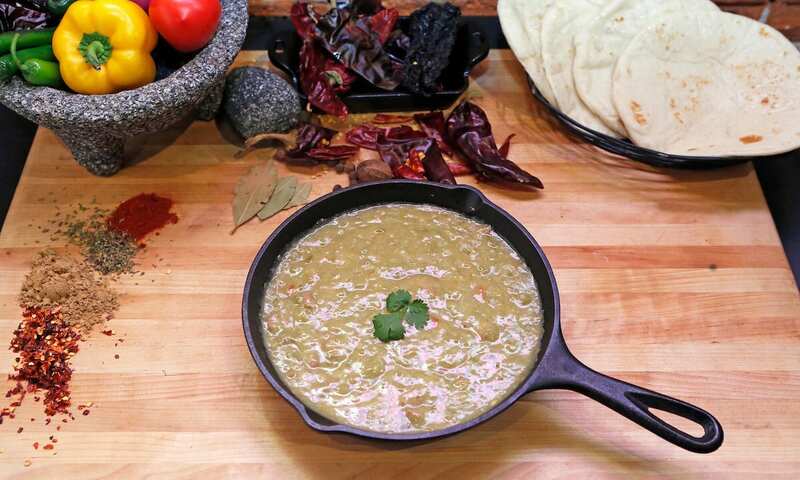 When it comes to the menu, folks do go for the Plato de Chile Verde – green chili smothering a heaping of pulled pork. But they also rave about the Camaron a la Mexicana, a savory shrimp dish as well as their eggs and chorizo platter. Stop by for their weekday specials. It’s lunch time, and you are getting verrryyy hungryyy ?? Los Chingones has gotten to be quite the hot spot to get tapas Mexican-style in Denver as the creation of noted chef Troy Guard who’s also behind some other popular restaurants in thfe city. The aesthetic here is in their words, “badass Mexican”. As a result, their three locations (Downtown RiNo, Stapleton and the Denver Tech Center) all exhibit this through their interior design, which emphasizes a lot of expressive color in conjunction with polished steel tabletops. When it comes to the menu, there’s a number of declious offerings available with a couple of interesting choices that are made. Case in point? The Los Chingones Style guacamole, made with – rattlesnake chorizo. If that’s not enough of a bold menu pick, patrons can go for one of their specialty tacos like the lamb neck or the octopus taco. They don’t neglect green chili – you get their twist on it as part of a “salsa flight” or as part of their seven-layer dip appetizer. Happy hour run Monday to Friday. First established in 2011, this spot gained acclaim for a rather hefty drink menu with margaritas as the focus to go along with their slew of tacos done with an eye towards how it’s done street-style in Mexico City. You’ve got a diverse array of meat choices with the tacos – more than fifteen in total. These range from the standard steak variety to those made with Morcilla (pig’s blood sausage) and even vegetarian options like roasted cauliflower. Machete first opened up in Cherry Creek and now has another location in Union Station. For the curious – yes, their margaritas are quite tasty with some catchy names like the Coin Purse and the Oaxacan, complete with a chili rim. Navajo brunch for the win #kachinadenver #brunch #allthingsfood ? Kachina has made a name for itself in the LoDo District and is situated right on the Dairy Block. They also have another location in Westminster. The fare here is emphatically Southwestern with delicious nods to Denver and the entire state of Colorado as entree influences. Any place that has a menu section devoted entirely to Navajo-style frybread tacos is bound to be a winner. But the smorgasbord doesn’t stop there – Kachina’s menu also has other striking dishes such as Colorado bison empanadas and their own take on the Sonora dog which has been a beloved food in Arizona for years. Yes, you can get your green chili fix here, either in a standalone entree or as part of their green chili burger platter during lunch hours. And who wouldn’t want to dine in a spot complete with its own restored Airstream camper inside? Comfort food with a New Mexico accent is the order of the day at Jack-N-Grill. The restaurant has gotten some notoriety for being featured on the Food Network’s “Man Vs. Food” for a breakfast burrito challenge. But many who come here tend to go for their Frito pie, which comes as a heaping plate with the customer’s choice of chili. Green chili factors in heavily here – you can get full bowls with or without beans, have it draped across one of their signature burgers or their number of burritos and sopapillas (many enjoy the ground beef and potato version of the latter). They even offer it “Christmas” style, with red and green chile dousing your food to make one tasty meal. If you truly want to get authentic, try some of it with their posole. Go there between 3-6pm for a daily happy hour, with deals on both food and drinks. There’s another Jack n Grill in Westminster. This Highland restaurant has earned high marks from some culinary groups for its premium Mexican fare that takes influences from the Oaxaca and Baja regions. Stepping inside, Lola is all about being vibrant with the presentation of its food to match. Dinner items include some real fusion, such as the fried chicken mole appetizer. Yes, they also have avocado toast on hand. Another dish of note is the Pozole Verde done with pork cheeks braised in a notably spicy green chile. Then there’s the whole grilled fish entree which is served up with fried garlic chimichurri and pico de gallo to kick up the flavor quotient. There are also special plates for each day of the week, Bear in mind that Lola does tend to pull in a crowd, especially for happy hour and their weekend brunch that features horchata pancakes among other eye-popping menu items. This eatery in the Central Business District is actually the sister restaurant to the original, which is in Fort Collins. Upscale is the tone here, with an interior that’s suave from the earth tones dominating the color palette to the comfy booths. The menu doesn’t lack for sumptuous options, beginning with chorizo mango nachos. The popular dishes here are their blue corn enchiladas, and fish tacos, which are among the best in the city, along with their “Tacos en Fuego”, prepared right at your table in a fiery mix with tequila included. And of course, there’s their buffalo green chili which comes with dollops of crema and Monterey Jack cheese. One note – Blue Agave Grill’s been given a thumbs up as having one of the best happy hours in town as well. Alisa is a digital nomad who likes to explore and try different types of food that challenges her taste in every places she visit.